Understanding why parents choose some interventions but not others for their child with autism is important for a number of reasons. Estimating the proportion of evidence-based interventions engaged, identifying the agencies influencing parental decisions, and elucidating the barriers or reasons leading to intervention rejection or discontinuation can result in better service provision. 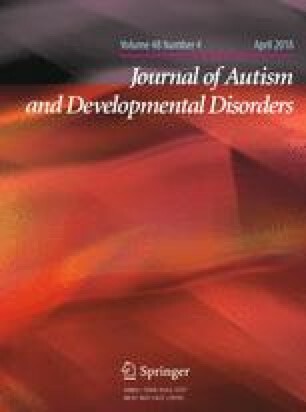 New Zealand parents (n = 570) of a child with autism reported what interventions were being engaged, and why some interventions were engaged but not others. Funding was a major determinant of intervention engagement, while medical professionals exerted the most influence. Sources of support were not related to intervention engagement, but parental perceptions of their child’s symptom severity were. Finally, non-engagement does not necessarily reflect parental opposition to an intervention, but rather the existence of barriers. We thank the participants for generously giving up their time to respond to this survey. We also thank Autism New Zealand for supporting the recruitment of participants, and for their ‘consumer perspective’ review of early drafts of the survey. DS, JL and SG conceptualized the study. RC and KT dsigned the study and collected the data. DS drafted the manuscript carried out the analyses. All authors reviewed the manuscript critically, and approved the final version.